Yes...I've missed your blog posts. (Smiles!) I love this quilt and ALWAYS find inspiration from your quilting! I love the movement in this . The dots are so fun! 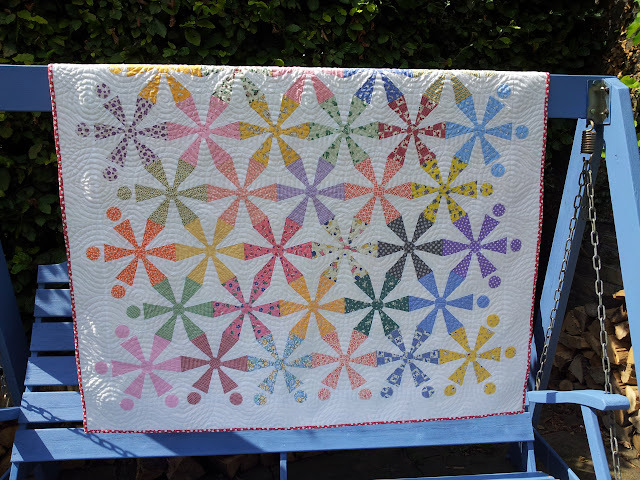 This is a gorgeous quilt and of course the quilting is a perfect match. Just lovely Chris!! !